In order to know more about family patterns which influent children’ and youths’ physical and mental developments, TFCF conducted a survey with 1,225 students aged from 9 to 15 years. This study selected schools from 22 counties and cities in Taiwan and received 1,223 valid questionnaires. Through the survey, 7.6% of children and youths said that they worried about domestic violence, 8.1% of them were slapped or hit on the head, and 2.2% of them were hit including on the chest, abdomen, and back. Children were more likely to suffer from the domestic violence and abused at home, and 26.9% of them would not seek external help. Even when family members committed suicide or any self-injurious behavior, 31.4% of them preferred solving problems by themselves independently to seeking help from others. Children are the future pillars of our nation. Their social cognition and personality development in the childhood are very critical. 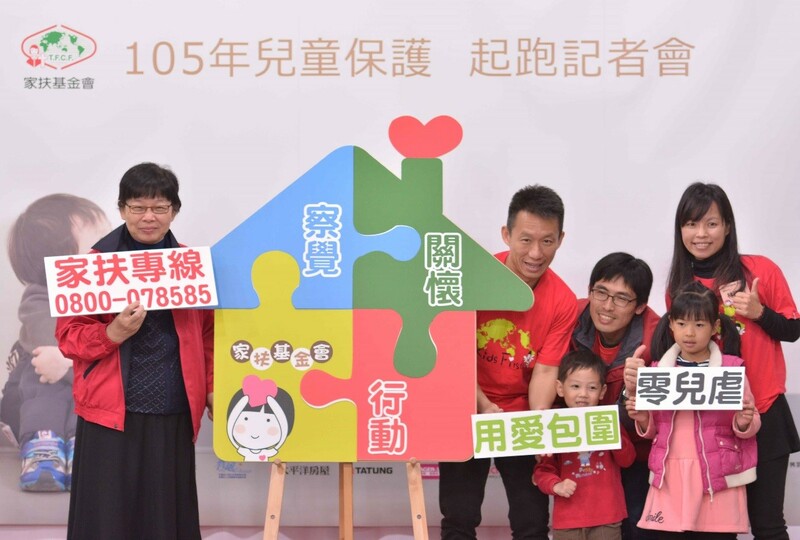 TFCF CEO, Betty Ho and Child Protection Ambassador actor-TV variety show host Mr. Kuo Tzu-Chien (郭子乾) urged public to be aware and observe any odd behaviors or abnormalities in children and youths. Do not hesitate to give a helping hand whenever any child abused found. Everyone is expected to report every instance of suspected child abuse or neglect immediately. We all have the responsibility to establish a comprehensive network of child protection to keep children safe from any violence.